Now that the decades long dream of building a new LaGuardia Airport, took a giant step closer to reality this week, with Governor Andrew M. Cuomo declaring the $4 billion project as “happening,” something else has to happen. The new LaGuardia Airport, when completed in 2021, should be named after Mario M. Cuomo, the public official who paid more attention to the airport and its impact on the New York Metropolitan region than any other elected official since, well, Fiorello LaGuardia. LaGuardia Airport’s past is as storied as it’s dependably dismal performance for 27 million passengers (in its last full year, 2014) has been pilloried. Built on the site of Queens County’s old Gala Amusement Park in 1929, the airfield was first opened for private use only and named after aviation pioneer Glenn H. Curtiss. A few years later, it was renamed the North Beach Airport. In 1937, New York City took control of the airport—located only 8 miles from Manhattan– expanding it by filling in several hundred acres of waterfront. Two years later, when it opened to commercial air traffic for the first time, it was renamed the New York Municipal Airport/LaGuardia Field, in honor of the incumbent Mayor, who would have personally landed every plane, if he didn’t have the nation’s largest City to run. LaGuardia’s fascination with flying was legendary. During World War I, the “Little Flower” was commissioned into the U.S. Air Service, just a few months after being elected to Congress, and commanded a unit of American bombers. A decade after New York City took ownership of the airport, the City entered into a lease-agreement to run it with the Port Authority of New York/New Jersey, and has just extended their joint operating agreement through 2050. 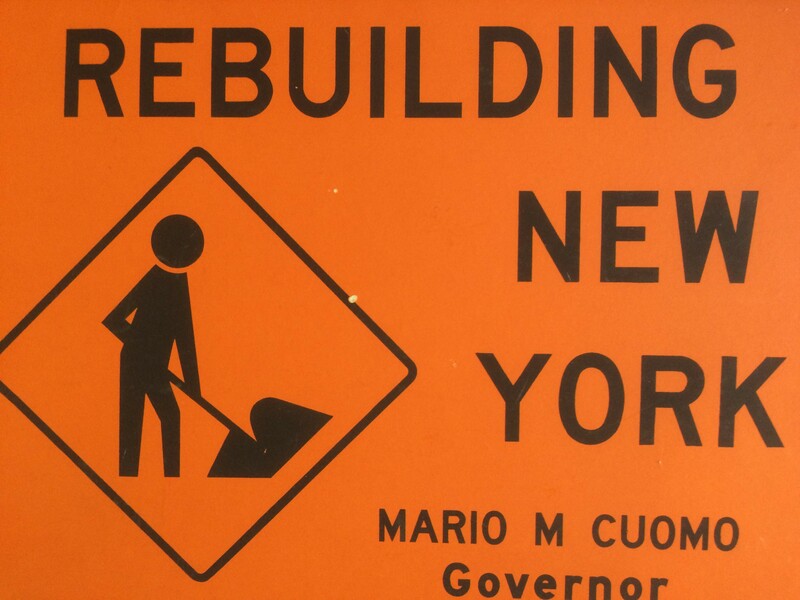 But, it was Mario M. Cuomo as New York State’s Governor from 1983-1994, who brought the same kind of public-spirited passion to improving and “Rebuilding” New York’s infrastructure, that LaGuardia did. Cuomo recognized, decades before most elected officials were paying attention to the issue, that the nation’s infrastructure was crumbling, no where more noticeably—and with more profound consequences—than in 300 year-old New York City. He championed “Rebuild NY” bond issues, and understood clearly the connection between public works, public/private partnerships, economic development & job creation. For his entire 12 years as Governor, Mario Cuomo championed a “New, New York,” tailoring specific economic development programs and ready-to-go infrastructure “Rebuilding” projects to every region of the State. A frequent critic of the Administrations of Ronald Reagan and George H.W. Bush, Cuomo eloquently argued that they would spend “billions on bailing out banks and the rich, but not one cent for rebuilding roads and bridges.” His “progressive pragmatism” was, in fact, a continuation of the structural rebuilding of America, started under FDR, and advanced by Mayor LaGuardia. Mario Cuomo’s links to LaGuardia Airport were substantial, and went beyond his envisioning transportation links between LaGuardia and JFK airports to Manhattan—at a time when most politicians and pundits belittled the “Train to the Plane” idea as a pipe dream. In his first term, Delta Airlines opened Terminal D, at the East End of the Airport. During Cuomo’s third term, Delta Airlines expanded their shuttle service to Boston, DC, and Chicago out of the now-historic Marine Air Terminal. I was with Cuomo in 1992, when he cut the ribbon on U.S. Air’s brand, spanking new Terminal C, opening 21 new gates and bringing more shuttle service to the bustling Northeast corridor. Cuomo looked approvingly at the gleaming new facility, and what he saw were more jobs for working people. He knew intuitively that the airport was an engine of economic opportunity, creating 10,000 jobs at LaGuardia itself, generating 10 times as many local jobs and pumping some $14 billion into the regional economy. Naming the “New” LaGuardia Airport after Mario M. Cuomo would be a fitting tribute to a working-class public servant from Queens, who viscerally understood the value to each one of us of building– from the ground up, or the underside of bridges, if necessary– a better future. My brother Michael would have been 75 years old this week, and he has been on my mind a lot lately. Somehow, I think my 6-year old granddaughter must have known that. At dinner on the night before my brother’s birthday, I was telling a make-believe story about “Peter, Peter Pasta Eater,” and another boy. My granddaughters, ages 6 & 4 love hearing my made-on-the spot stories the way my brother’s oldest daughter and son did, when they were the same ages. And, I love telling them, vamping along the way, watching their eyes grow as big as pizza pies, suspense building. I was searching for the name of the other boy in the story, when my granddaughter asked me for it, and “Michael” was the first name that popped into my mind, and came from my mouth. “Well,” she said, looking at me with her saucer-sized eyes, “isn’t Michael one of your brothers’ names? I was stunned. Was she reading my mind? My face? Were my emotions that evident to this sweet, sensitive child? “Why, yes—yes it is,” I said. And, before I could correct myself and say, “yes, it was,” the story moved on, and my granddaughters wanted to know how it ended. On the eve of what would have been my brother’s 75th birthday, his name found it’s way into a story I was creating for the two human beings who are everything to me. It got me thinking of how my brother would have smiled warmly, quietly at my granddaughters, the way he glowed softly as I watched him observe each one of his four children when they were babies, and the world was still fresh and innocent. My brother Michael was my first hero, a calm gentle presence in my chaotic early life, the opposite of my father whose temper could explode as quickly as the steam boilers he worked on all his life. Gifted with patience, my brother would assemble all of my toys that my father had no patience for putting together. My first real visual memory of my brother was through the split front seat of a 1958 Ford Fairlane, when I was 10 or 11 years old. He had taken me to a drive-in movie one night, along with his girl friend, who later became his wife. They sat in the back seat; I sat in the front. I was curious about what my brother was doing back there. But, fatigue conquered my curiosity, and I fell asleep while I tried to sneak a peak of a show that I was convinced was more fascinating than the movie on the big screen in front of me. My brother, nine-years older than I, carried me back into my parents house and up to my bedroom that night, and, for years, laughed gently at my invasion of his privacy. 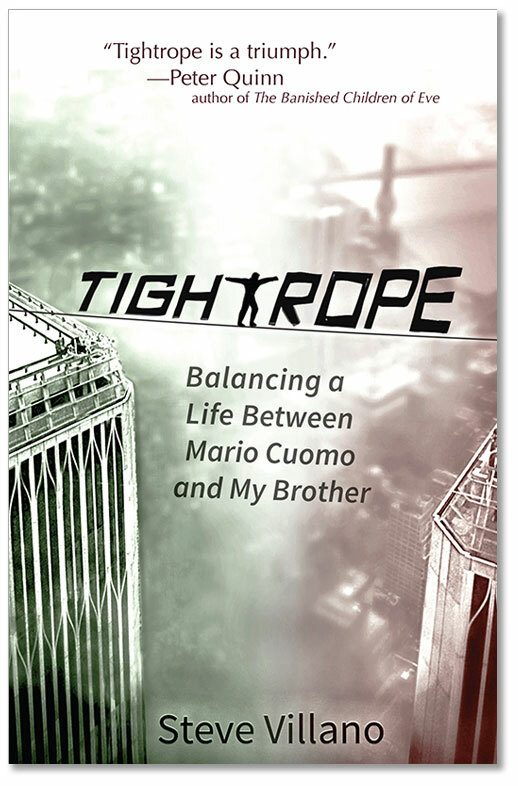 I always saw my brother through my mother’s eyes, and that view was rose-colored, gentle and perfect, even when my brother’s life took on a far different, more tumultuous tone in later years. To my mother, to me, my brother was always there, ready to help, to calm the waters. He could build anything—a four-poster bed, a bicycle, a house. I once watched him cook a meal from scratch for two dozen people, each ingredient carefully chosen, each choice delicately considered, each course, better than the one before. I was mesmerized by his short, stubby fingers and how much they looked like our mother’s. My brother’s life and mine, diverged sharply over the years, and my idolization of him turned into sadness, anger, sorrow and then, in the end, love again. Whatever he did, and he did plenty, he was always my mother’s son, and early in his life, the very model of how I believed a man, and father, should behave. 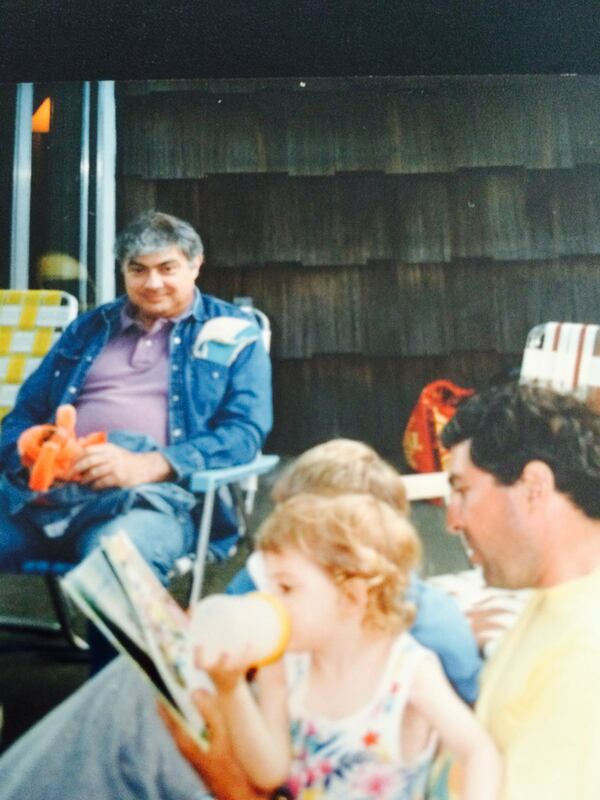 To my granddaughter, who never met him, Michael was my brother. He was real, not make believe. Ignore the toxic gasbag Donald Trump. Be outraged over his intentionally inflammatory comments about Mexican immigrants and illegal immigration, but don’t let them confuse you with the facts in the case of the terrible gun murder of 32-year old Kathryn Steinle on San Francisco’s Pier 14, who crumpled to her death in her father’s arms. I walked or rode my bike on Pier 14 nearly every single day for four years. I lived across the Street from the Pier, when I lived in the Gateway Apartments, facing the Embarcadero. In all that time, morning, noon and night, I never saw one SFPD beat cop walking on the Pier. But, I did encounter many menacing, mentally ill characters who could have easily mistaken me for a sea lion and decided I was a threat to them. Armed, they would have been dangerous. In the four years I lived facing Pier 14, San Francisco’s mentally ill and substance-abusing homeless population skyrocketed and became increasingly aggressive. Sue Bierman Park and Ferry Park off Drumm and Washington Streets became urban encampments of cardboard boxes, makeshift tents, and shopping carts. When a children’s playground opened in Sue Bierman Park, I was relentless with local police and told them that if one of my granddaughters was threatened with violence, I would not be able to control my response. The SFPD response was swift and constant, and, for the first time, “community policing” came to SF. I called the local SF precinct several times a week to report violations of the 8 pm Parks’ curfew, incessant screaming coming from folks in need of medication, and drug deals being done in the middle of the day. Woefully understaffed for a City of nearly 800,000 from the days of Mayor Gavin Newsom, the SFPD could only respond to emergency calls. Lack of cooperation from the DA’s office—under both Kamala Harris and George Gascon– left SF’s cops to play a game of catch and release, arresting repeat offenders 60 or 70 times, only to have the DA’s office release them, claiming that they didn’t have the resources to prosecute. Early one evening, on my way to make the #1 Muni bus at the corner of Clay and Drumm Streets, I spotted at least a half-dozen disheveled looking men, hunched over a park bench, igniting something in bottles. Using my cellphone on the spot, I called the SFPD emergency line and strongly urged them to send over some police since “Molotov Cocktails” were being lighted. “You’re calling us because they’re having cocktails in the park?” the dispatcher said. As it turned out, the men were lighting their make-shift Meth pipes, a common occurrence in Ferry Park, especially after the SF DA’s office eliminated San Francisco’s Narcotics Division. “There’s just no support for law enforcement or public safety in this City,” a local police officer told me when he came to answer one of my calls. During that same four-year period of 2010-2014, property crimes in SF increased nearly 30 percent, and my bicycle—stolen from my third floor terrace—was one of those statistics. That theft was a tiny, yet tell-tale sign of a troubled town, as was the growing graffiti and grime on the inside of Muni buses. Nobody cared. Whatever. There’s lots of culpability to go around for Kathryn Steinle’s death, and it goes far beyond Mayor Ed Lee’s fingerpointing at the shameful actions of Sheriff Ross Mirkarimi, who finally proved himself unfit for public office. The Sheriff’s inexcusable negligence of duty, and the refusal of two successive Mayors and DAs to forcefully face San Francisco’s growing crime rate and deteriorating quality of life issues, have resulted in the tragic death of a young, vibrant daughter of all of us. After a lifetime of living in New York, I learned to ignore the toxic, tasteless, temper tantrums of spoiled little rich boys, like Donald Trump. Neither their politics, their pouting, nor their wealth, matters. What does matter is the health and safety of everyday people who define a city by the life, work, vitality, energy and joy they bring to it. What SF doesn’t get, is that a “world-class” City can be both safe and respect individual freedoms, the foremost of which is life. San Francisco needs to decide whether Kathryn Steinle’s life mattered. I never understood the fascination with fireworks, even though I illegally sold them as a kid growing up in the working class enclave on North Babylon, Long Island. My brother brought home “mats” of firecrackers, loose cherry bombs, bottle rockets, and exploding “ashcans” that could blow off your hand. I was his underage “dealer”, selling the stuff to any of my friends who would buy them. For a poor kid who sold my toys and comic books for pennies to spend in the summertime, I was mesmerized by the money I could make by marketing this madness. As July 4th approached in the Year I Lived Dangerously, sales were so outrageously brisk that my schoolmates were swamping our stoop, waving $20 bills in their fists for any scrap of fireworks I had left. The clamoring crowd grew so noisy out front, that our next door neighbor threatened to call the cops and report us. I went to sleep with several gross of firecrackers under my bed, worried that either the police were going to raid us, or our house would catch fire, and light up like a rocket in the night. “Controlled” fireworks displays—or controlled anything for that matter– were not part of our consciousness. Our lives were completely out of control. Chaos reigned. We wanted to create something out of our own explosive imaginations. Fireworks were an easy, accessible art form. Fast forward to today, more than 50 years later, in the posh wine country town of St. Helena, CA, in the heart of the Napa Valley. The entire State of California is as dry as tinder. We are in the fourth year of a drought that has raised the fire danger to extreme levels. Water rationing is mandatory. Statewide, individual water users have cut their use of water by nearly 30%, except for the very rich of Beverly Hills or San Diego County or Tiburon, Marin County, who insist that if they can afford to pay for water they should be able to use as much as they god-damned want . The rich, enamored with controlling everything, LOVE controlled fireworks displays. 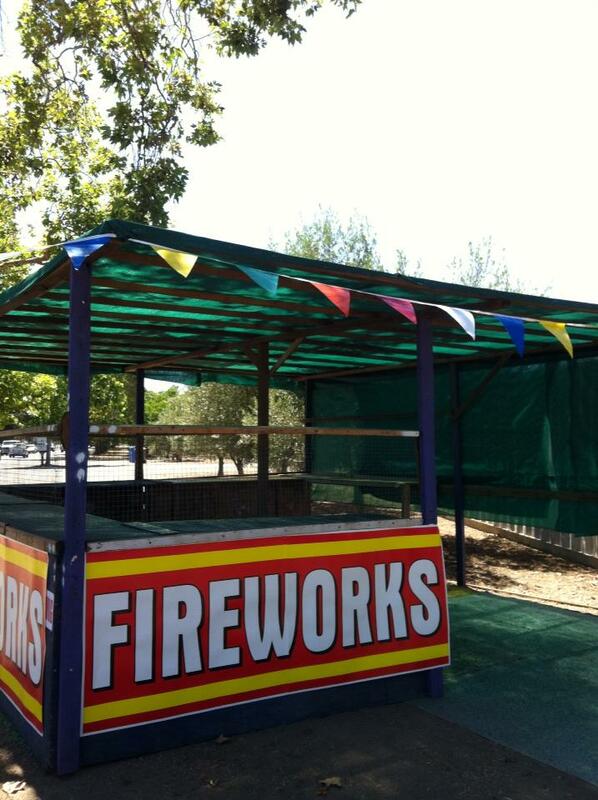 In swanky St. Helena, some wealthy benefactor was willing to bankroll the entire $50,000 cost of a “controlled” fireworks display to make sure that July 4th was celebrated with a bang. Leveraging that gift, even more money was raised for a fifteen-minute fireworks festival where the money quickly goes up in smoke, and awed on-lookers argue whether this year’s fireworks show was better than last. Like it matters. At virtually the very same moment that wealthy fireworks fans forked over private funds, St. Helena City leaders cut nearly $250,000 of public funds from the budget of a terrific local library, which also serves as a community center for this small City of 5,000 people. The City Manager fired the full-time Library Director, who built the small library into one of the best in the country. The City Council caved in by reducing the hours the Library is open to the public, including a complete shutdown on Sundays. No one thought to ask the wealthy fireworks donor to put the $50,000 gift to better more lasting use, to keep the library doors open, and provide access to books which last a lifetime, rather than fireworks which fizzle in a few minutes. People say that public funds are one thing, but wealthy donors have the right to put their private money anywhere. I disagree. Municipal, state or national leaders ought to step up with a list of vital community services that are in dire need of funding: rebuilding crumbling infrastructure, water recovery, libraries, schools, fire-fighting equipment, police services, teachers, nurses, eldercare, affordable housing, food, sustainable living. Wealthy donors attention needs to be directed to the necessities of community life, not narcissistic nostalgia. Scarce funds are fungible. Money spent on fireworks won’t be spent on books . I know. I saw it in the eyes of my schoolmates throwing money at me for fireworks 50 years ago. If books could have given them the same kind of buzz, they’d have burned them too.